Your heating/cooling system is one of those things you don’t want to do without. 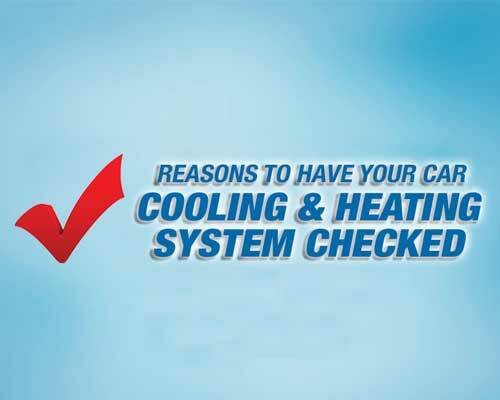 To help you know when your heating/cooling system requires attention, we’ve come up with this handy checklist. The passenger compartment air filter should be checked at every oil change. Your air-conditioner is not as cold as it should be in the Summer. You don’t have enough heat in the Winter. The rug on the driver’s or passenger’s side of the car is wet. The heater smells when it’s on high temperature. You hear a grinding noise from the engine compartment with the A/C on. Steam comes out of the defroster vents. You have a noisy blower motor. The heater blower only works on high range.